- BUY THIS ON DVD! 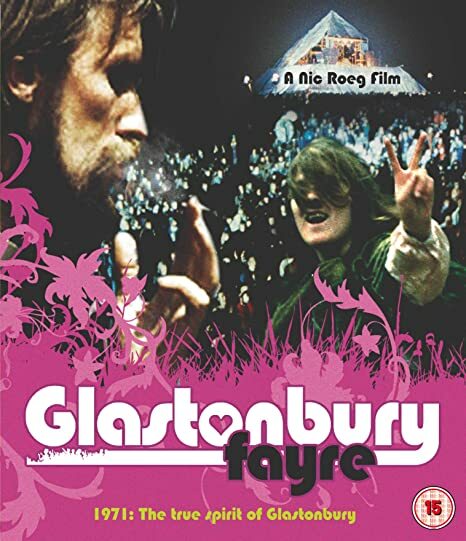 Shot by acclaimed director, Nic Roeg, Glastonbury Fayre is an enthralling music film of the first Glastonbury festival to have the pyramid stage. Free to all and with a line-up that included Melanie, Terry Reid, Family, Fairport Convention, Traffic, Linda Lewis, Arthur Brown, the true spirit of Glastonbury is there for all to see in this unique film record. Thousands of flower-power children smoke pot, dance naked, roll around in the mud and dance for peace in our time. THEN SEND IN YOUR NAME, ADDRESS AND FIVE COMMENTS TO contests@efilmcritic.com orWeLoveHBS@aol.com. (Just one e-mail please.) Put "GET A HAIRCUT YOU GLASTONBURY HIPPIE" in the subject line and cross your fingers. We will draw names and one of the prizes from PBS will be yours. Only 1 entry per household.